As part of one of the largest metropolitan areas in the country, Dallas attracts visitors year-round for events like festivals, private vacations, family reunions, and more. Dallas Charter Bus Company works with a statewide network to provide groups with efficient charter bus transportation throughout Dallas and beyond. We’ll take care of the driving during your Dallas trip so you can focus on spending time with your group in the DFW area. Call our offices anytime at 214-396-2444 to receive a free, personalized quote for your upcoming trip to Dallas. Although SXSW in Austin usually garners most of the attention in terms of arts and culture, Dallas is a popular hub for major festivals as well. From the Deep Ellum Arts Festival to Lights All Night Music Festival, Dallas has an event for audiences of all types. If you’re planning to attend a music, art, or film festival in Dallas, a private charter bus rental will help simplify transportation for your group. We have access to multiple models of minibus, ranging from 18-passenger models to 25-passenger vehicles, to easily transport festival groups around the busy Dallas metro area. A private minibus rental will give your group the opportunity to enjoy festivals to the fullest while we handle the transportation. Each charter bus rented from Dallas Charter Bus Company includes a professional driver to take care of the pickup and dropoff logistics on the hectic festival roads. Getting everyone together for a reunion can be difficult, especially with a large group of extended family members. 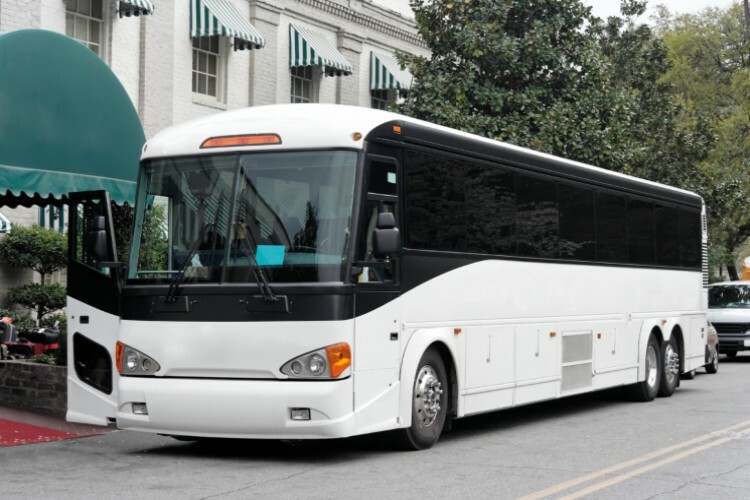 Full-sized motorcoaches can comfortably fit up to 56 passengers for large family reunions in Dallas. Whether you’re Dallas locals or you’re traveling from out-of-town for a reunion, a private charter bus rental will keep your family together for each reunion event. Everyone will be kept together while getting to hotels, restaurants, and event centers like Skyline Ranch. Depending on the model of bus, your group can also request additional amenities like on-board restrooms, power outlets, WiFi, and more. The kids in your family reunion group can stay entertained with on-board WiFi and televisions with DVD players while adults catch up with one another. Youth groups, summer camps, and community organizations can rely on Dallas Charter Bus Company for safe and quick group transportation solutions. A private charter bus rental offers everyone a more comfortable ride than traditional school buses used by many camps and organizations. Your youth group or summer camp can beat the Texas heat with climate-controlled interiors after a long day of community service or outdoor activities. Chaperones and parents can also rely on us for safe trips for each camper. We only work with certified bus providers and drivers in the state to transport our passengers around Dallas and beyond. The buses we charter include modern safety features and each driver is required to pass a rigorous background check and drug test before getting on the road. With a rental from Dallas Charter Bus Company, your group will safely arrive to your planned event or field trip destination. Group transportation around Dallas is guaranteed to be simple and smooth with service from Dallas Charter Bus Company. We also provide transportation solutions to other major cities in Texas including Fort Worth, Austin, and Houston. Our rental experts are available 24/7 at 214-396-2444 to answer any questions about charter bus rentals in Dallas. We’ll find your group the best charter bus for your group size and travel needs!